After a record-breaking year for the TT, the 2019 Classic TT Races presented by Bennetts celebrates one of the greatest riders in the TT’s illustrious history, Steve Hislop, who set the first 120mph lap in 1989. ‘Back to the Future: The Hizzy Years’ will be a celebration of his career thirty years after his milestone achievement. 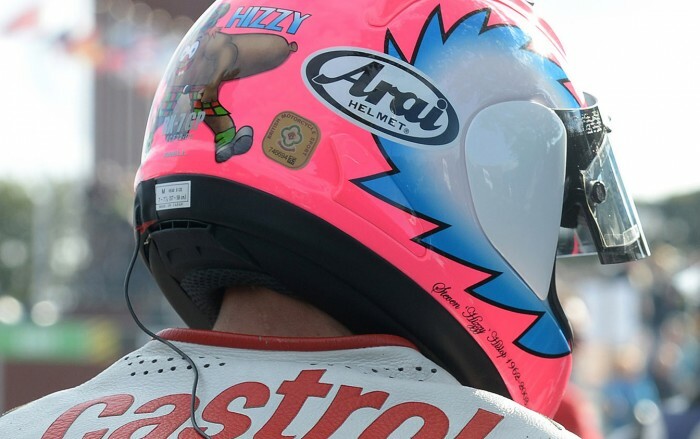 Featuring a pop-up museum of some of the Scot’s most famous bikes, used to tell Hizzy’s remarkable story, with a parade lap and guest appearances from some of his friends and rivals, including four times World Champion and TT winner Carl Fogarty. On and off track entertainment blend into a packed four day festival including the return of some of the most famous marques to the TT Mountain Course, and other marques long since forgotten, alongside live music, displays, a ‘Show and Shine’ competition and a number of chat shows. The on-track action comes thick, fast and not to mention loud, with final qualifying and the paddock carnival just a precursor to the weekend, Saturday 24th and UK Bank Holiday Monday 26th August, of thrilling wheel to wheel racing by machines and riders that belie the term Classic. Current stars who have taken the challenge include John McGuinness, Michael Dunlop, Dean Harrison, Lee Johnston, James Hillier and Conor Cummins. Saturday’s racing sees the Bennetts Classic TT Senior Race opening the programme. The 500cc class sees a multitude of pre 60’s machines go head to head in a nostalgic international battle; the classic style and sound of the Italian marques – Paton, Ducati, MV Agusta, taking on the Japanese giants Honda and Yamaha. With the older and no less successful, traditional British brands such as Norton, Matchless, BSA and Royal Enfield try to recreate past glories. The welcome, and evocative, return of the Lightweight 250 machines to the TT Mountain Course completes Saturday’s programme, with a sensory assault from the nimble, agile two strokes delivering the unmistakeable sight, sound and distinctive smell of Castrol R to fans in the grandstand and around the course. Monday’s race programme begins with the Junior Classic TT Race; a field dominated by Honda although the traditional British manufacturing industry is well represented Velocettes, Nortons, BSA, and Matchless machines. The meeting reaches its climax with the RST Superbike Classic TT Race and you don’t even have to be long in the tooth to have witnessed these bikes in their heyday. With a cut-off date of 1993, these historic machines display strong links to their modern counterparts with lap times to match. You can enjoy the best of the action at the very heart of the event with a VIP Classic TT Experience, not only giving access to the grandstand, but also giving you the chance to catch your breath in comfort from the packed schedule. Or to truly enjoy the ultimate Classic TT Experience you can upgrade to a Platinum VIP Hospitality Experience complete with grid access and Course Car lap. Bisecting the race action, the Classic TT off track festival maintains the buzz with the traditional Classic TT Party on Saturday night which this year features the Counterfeit Stones – delivering their own nostalgic tribute to match the trackside retrospective. The festival action moves to the North of the Island for the VMCC’s annual Festival of Jurby – thousands of like-minded bike owners sharing their two wheeled passion with the quality of bikes on the track more than matched by the ones in the car park. Sunday evening features the RST Classic TT Heroes Dinner where tales of derring-do are swapped by fans and legends cheek by jowl in the VIP Hospitality Unit. Free paddock screening of four widely different cinematic classics from the era at the Sundown Cinema – the appropriately titled ‘Back to the Future’ from 1985, the tub thumping ‘Commitments’ (1991) – sure to get the paddock rocking – 1992’s pop culture classic Wayne’s World, and Bill Murray’s definitive appearance as an egotistic reporter in Groundhog Day – wrap the four day festival in a celluloid frame. Tickets for the 2019 Classic TT will go on sale from 12noon on Wednesday 21st November 2018 via the Official iomttraces.com website including Official Grandstand Tickets, VIP Hospitality Experiences and Official Entertainment Events including the Counterfeit Stones Classic TT Party Performance.